Driving home after a long day at Kelsall – we left home at 5:30am and it doesn’t look like we are going to be back until 11:30pm. Everyone said we were very fortunate that we weren’t there on Friday, as there were strong winds and rain that day. Kelsall is always worth the trip, with good ground and good courses. I had Jedi doing the BE100 and Tonto doing the intermediate. I had two lovely rides on both of them, with Jedi feeling for the first time that he wasn’t a green baby and Tonto giving me a relaxing ride which will hopefully be a good set up run for Ligniere. A big shout out to the team at home who have made sure the horses have been kept going and moving forward while I have been away. Jaya was with us today doing an intermediate on Drax. Although they had a blip cross country, their partnership from the outside seems to be really jelling. The one riding the most horses today was Josh, who had three in the BE100 U18 class. I hadn’t seen Josh ride Ricky very much but was very pleased to see him give him a really nice ride in all three phases, despite Ricky being a bit excited in the dressage. 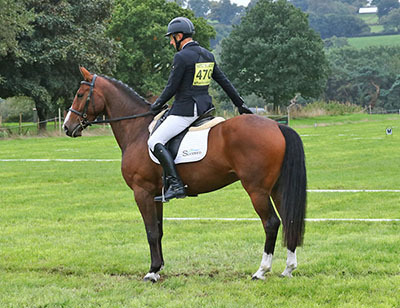 Both Aussie and George had a stop across country, which was frustrating as they were placed 2nd and 3rd after dressage and then had good solid clears show jumping, but Josh will get some good results with these ponies – it’s just a matter of time.